During the time in which the original Elu Cohen was in operation, Martinez de Pasqually took an apprentice by the name of Louis Claude de St.-Martin. Louis Claude de St.-Martin was born in 1743 to a religious family of minor French nobility. St. Martin was admitted into the Order of Elu Cohen around 1767, but prior to that had been admitted to an unknown Masonic lodge in 1750 as well as an initiate to the Rite of the Strict Observance in 1773. St. Martin became the secretary of the Elu Cohen from 1768 to 1771. This is when he met Willermoz who was the head of the Elu Cohen lodge. St. Martin was inspired by the philosophy and teachings of Pasqually and sought to integrate then with the Rite of Strict Observance. 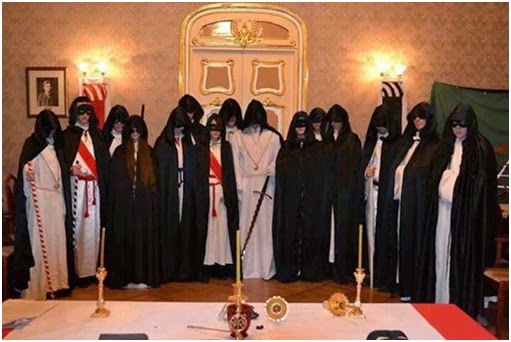 The Rite of Strict Observance was founded by Baron Karl Gotthelf von Hund in 1749, and was based on the myth of a direct lineage to the original Knights Templar which was received by an “Unknown Superior” in Paris in 1742. St. Martin became more and more disengaged with ceremonial magic of the Elect Priests and began to wonder if all the magic circles and ritual elements were necessary to experience the presence of God. St.-Martin saw one’s spiritual path as an internal work, which he called the “way of the heart”. St. Martin believed that Christ was the Word or the Gnosis as written in the gospel of St. John, and this Word was with Man in the beginning, but had been lost. Only through recovery of this lost Word could Man be whole and Reintegrated into the presence of God. . St. Martin began to publish his philosophy under the pen name the Unknown Philosopher. Not only did St. Martin have dislike for the ritualized working of the Elu Cohen, he also began to question the necessity of ritual in a Masonic setting as well. In July of 1790, he left Freemasonry in order to focus on his contemplative “Way of the Heart” until his death in 1803. The French Revolution, though destructive for all of France, was equally devastating for St. Martin’s path of Martinism. St. Martin had few disciples but his teachings survived through a lineage of student to teacher aural recounting until in 1891 when a student named Gérard Encausse desired to reform the Order of Martinism. Taking the name Papus he claimed a succession from Augustin Chaboseau and Henri Delaage supposedly going back to St.-Martin himself. 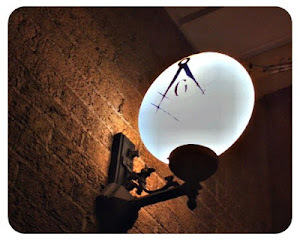 Papus reformed Martinism into a Masonic structure, of a series of three degrees which were reminiscent of the Craft Degrees of Freemasonry, but with a mystical emphasis. Usually referred to as Associate, Initiate, and S:I:. This newly-organized system of Martinism became associated with the French Gnostic movement and has long been associated with the tradition of the ‘Episcopi Vagantes’ or “Wandering Bishops”, and Encausse was most certainly made a bishop. 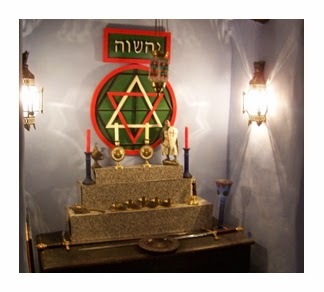 The three-degree system of modern Martinism borrowed Masonic symbolism, such as the pillars of Solomon’s Temple, and added Kabbalistic and Gnostic emphasis to lead the Initiate into a deeper understanding of the nature of Polarity as it occurs in both Nature and the mind of Man. There was also some borrowing from the Mark Master degree in order to gain a deeper appreciation of the True Meaning of the Stone that the Builders rejected as a symbol for the Christos. 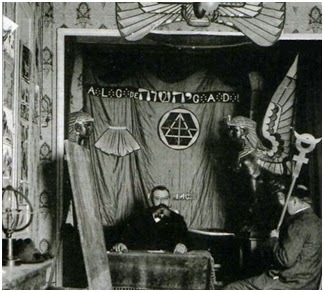 This rebirth in Martinism is a part of a larger cultural movement of the time referred to as the Occult Reformation.